Another piece inspired by our recent visit to the Hawaiian islands and by the snowy winter here in the Heartland. 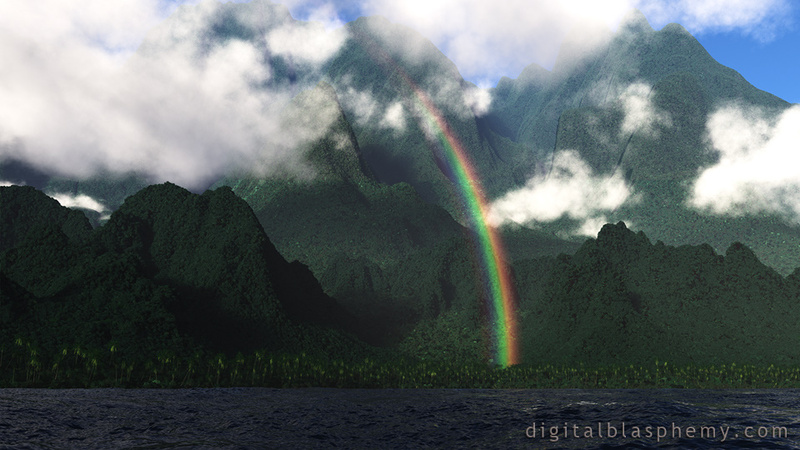 I created this one basically for my own sanity but also this one is for the folks who wanted to see "more mountain" in my Mauka render :-) I used World Machine and Gaea to create the mountains. 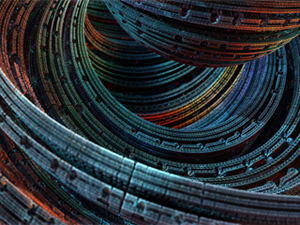 I used Lightwave to create the rainbow texture. 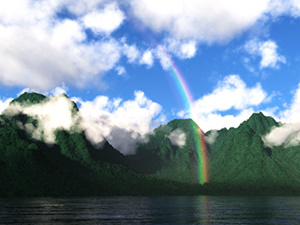 I then applied it to an alpha plane in Vue for a more "3D" look than the built-in rainbow. "Pali1 was good, this is much better"
"A Timely and fitting Tribute to my Mom"
"Reminds me of your work from the 90s"